Palma College students have been back for nearly a month now and are already hard at work and back into the swing of College life. Staff are busy getting to know our new students, teaching new skills, and planning exciting projects such as Diversity Day, new Enrichment projects and a Taster Day on 24 October for future students to come and get to know us. Palma College prides itself on treating each student as an individual. 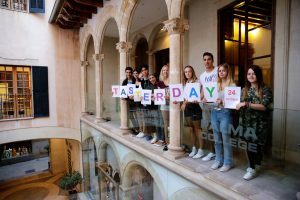 Two of our students took the time to write what they like best about Palma College and tell us about their goals for this Academic year. All our new students took part in a certified First Aid course provided by Tineke Training. Students learnt different skills such as CPR, how to bandage and what to do if someone is choking. 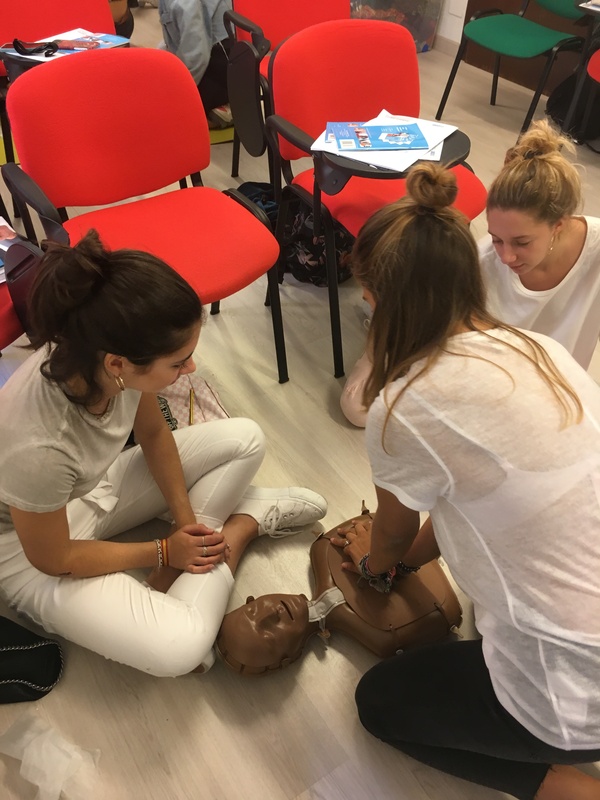 All the students found the course really useful and feel more confident if they are ever faced with a medical crisis. Following on from Palma’s very popular Nit de l’Art where our Art teacher Laurie Pearsall exhibited at Casa Planas in Palma, our AS Art and Design students visited some of the local galleries. 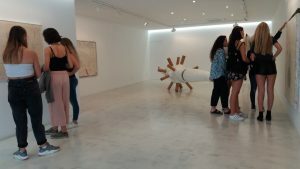 The group spent some time at the galleries available to them in Palma Centre and visited three galleries that inaugurated new expositions for La Nit de l’Art. They viewed the work of Miquel Mesquida at the ABA Art Lab, a collaborative installation called ‘Walk the Line’ at Galeria Maior and the diverse collective exhibition at the Gerhard Braun gallery. Each student chose one work of art to study more closely for an essay task. They were happy to take a break from the classroom and see some galleries they normally might not see. The students said they enjoyed seeing work of local artists and appreciated how Spanish culture had influenced some of the art they saw. As part of our Enrichment programme students have participated in a range of activities this month. Self defence with Renegade Martial Arts, Time management skills and Good Habits help them organise their study time. Our A2 group have started their UCAS applications. They have received help from both Jill Conway our UCAS expert and interview skills with Sabrina from Just be Sassi. Our Head, Ali Lawrence gave guidance to students wishing to take a working gap year or who have decided to apply to Universities outside the UK. 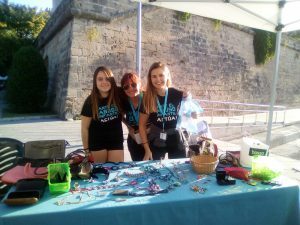 A few of our students volunteered to help the nonprofit organisation Rana at their Charity Market last Saturday in Parc del Mar. Rana is a local charity that raises awareness and works on the prevention of child abuse. We will be back next month with more news! Palma College for Sixth Form studies is delighted to announce they are opening an Elite Fifth Form year for IGCSE students. Students must be in their 16th year to be accepted for a place on this one year fast track course. Demand for IGCSE is growing and Head Teacher Ali Stanford Lawrence and Owner Jill Witkamp Roberts feel the time is right to extend the excellence in education which already exists within the Sixth Form. The fully qualified staff are available to work with the Fifth Form students to prepare them for the IGCSE exams. 10 different subjects are offered. With the waiting list for sixth form places increasing year on year this is the time to extend the excellence in education to a younger year group and to prepare them for the difficult transition to the demands of A Levels. The Fifth Form will be running from this September. As another academic year draws to a close it is a good moment for us to reflect on the achievements of the students at Palma College. Those who are leaving us have mapped out their immediate futures but, more importantly, have gained the skills they need to support themselves in decision making and even risk taking. They have matured immeasurably over the two years with us and taken part in all that we offer. 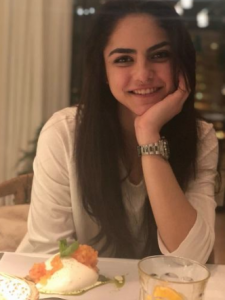 The destinations of leavers and the degree courses they have applied for amaze all of us in their diversity and location; the benefits of being a truly international college are such that we all learn so much about other countries. The students who now are in their second year are a great group. Their enthusiasm and energy is felt throughout the College and they are using critical thinking skills very well. They understand that A Levels are not only hard work but the key to their future plans. The guest speakers at the College have remarked on more than one occasion how impressed they have been with the interest shown and the questions asked of them. They have great potential to move onto Higher Education or other routes and they have begun working on this next step. A gentle reminder that the examination results for AS and A Level are released on 16th August. The A Level students should be available to come into College to collect their results and confirm their university places (if heading to the UK). If they are off the island we will of course email them as soon as is practical that day. Summer work is expected for Art and English Literature but otherwise we would encourage general reading, particularly for those studying a modern foreign language. Term starts on 5th September and we would appreciate full attendance from that date. The staff and I wish you and your families a very pleasant summer and we look forward to seeing returning parents in September when we will be holding some information afternoons regarding university options. One of the great successes of Palma College is the ¨Next Steps´ programme where all L6 students are given careers advice and plan for their futures. Not all students want to pursue an academic route and we look for vocational programmes or apprenticeships for them. 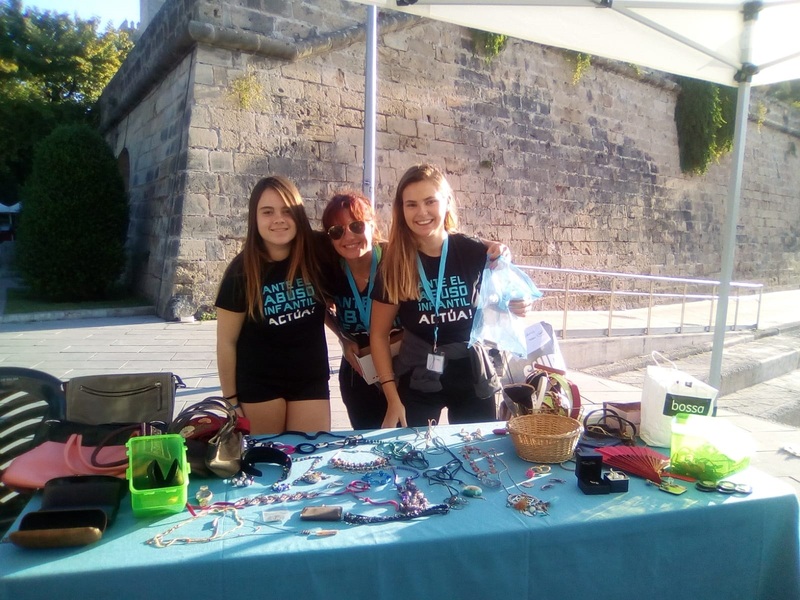 This year we have been astonished by the depth and breadth of the students´ ambitions and very proud of them seeking out courses to help them on their journeys. We have three confirmed unconditional offers for the UK which is and testament to the strength of their applications; and many exciting opportunities both within Europe and North America. 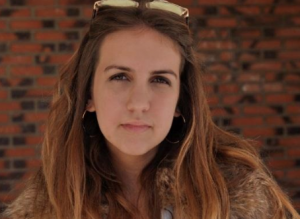 Louise, one of our Swedish students, has an unconditional offer from Winchester University to read Liberal Arts. Tiffany, from Mallorca, is off to study Motorsports in the UK on an unconditional offer. It is exciting to see a young woman moving into the traditionally male world of motor racing! 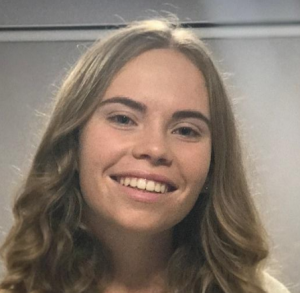 Annabel, from the UK and Mallorca, is heading to Southampton to study for a degree in Sports Management on an unconditional place. 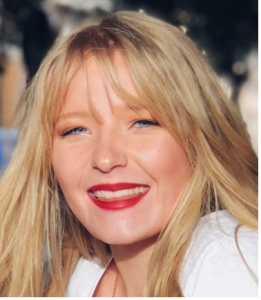 Aina, from Mallorca, is heading for a degree in Fashion Making & Styling in Haute Couture at the Ecole de la Chambre Syndicale de la Couture, Paris. Dima, from Russia, is yet to decide between California, Switzerland or Barcelona! 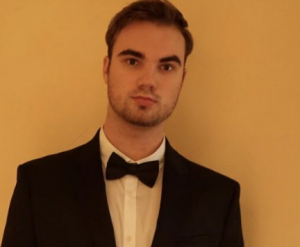 One student is going on a planned GAP year to South America. There are many opportunities for safe and socially aware programmes around the world.